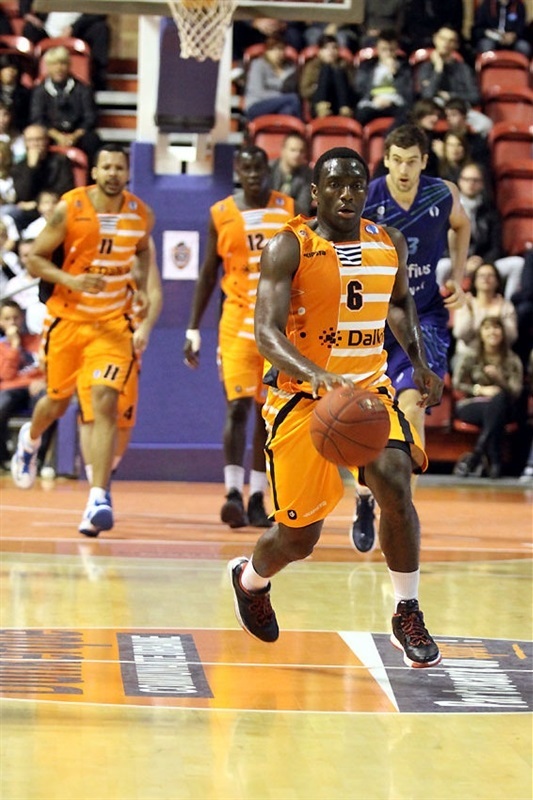 BCM Gravelines Dunkerque used a couple of hot-handed three-point shooters and solid defense to turn back visiting Belfius Mons Hainaut 75-52 and stay unbeaten in Group D on Tuesday. 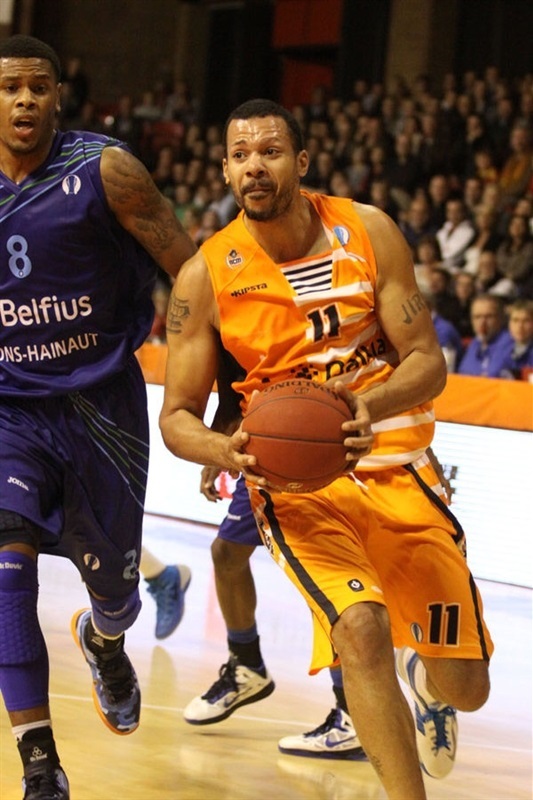 Gravelines improved to 3-0 atop the group, while Mons remains in the last-place danger zone at 0-3. Juby Johnson hit 5 three-pointers to lead the winners with 19 points. Jonathan Rousselle landed 5 of 9 to finish with 18 points, Souleyman Diabate added 18 and 7 assists while Ousmane Camara posted a 10-point, 11-rebound double-double. Justin Cage led Mons with 16 points, Robert Vaden added 12 and Demontez Stitt had 11. The visitors jumped in front 5-9 before Rousselle entered with a mind to shoot. In 1 minute and 7 seconds he scored 10 unanswered points on 3 triples (but missed a free throw) and Gravelines was on its way to a 19-13 lead after one quarter. 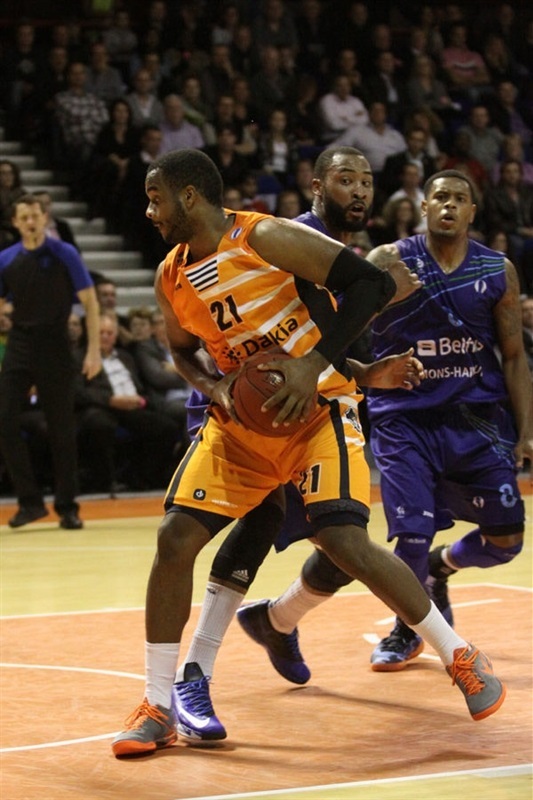 After Stitt of Mons hit a three-pointer to open the second quarter, Gravelines locked down its defense. Soon, Rousselle and Johnson finished a 10-0 run with back-to-back triples on their team's way to a new high lead, 42-24, at halftime. Mons returned from the locker room ready and reeled off a 0-10 run on 5 points by Stitt to get back in the game at 43-36. 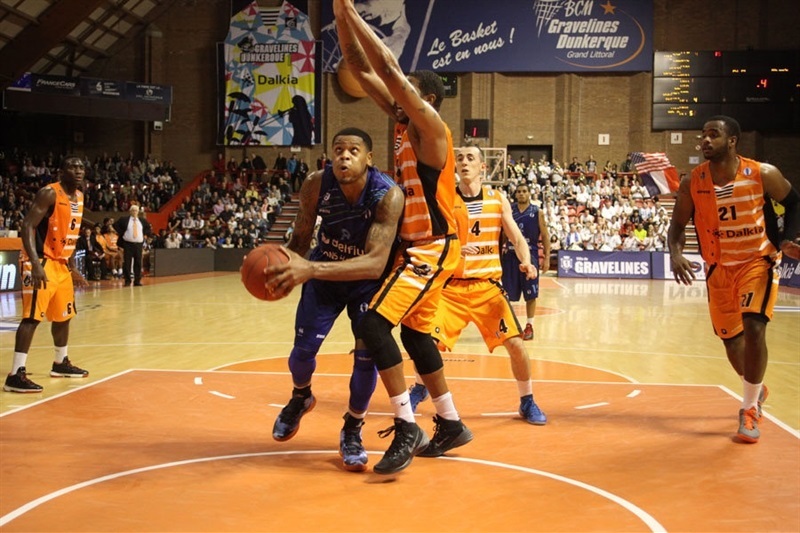 Gravelines reestablished control after Johnson's 2 three-pointers to finish the third quarter up 52-42. After 3 minutes of the fourth passed without a single basket, Stitt's three-point play got Mons as close as ever, 53-45, but also earned a huge response from Gravelines. 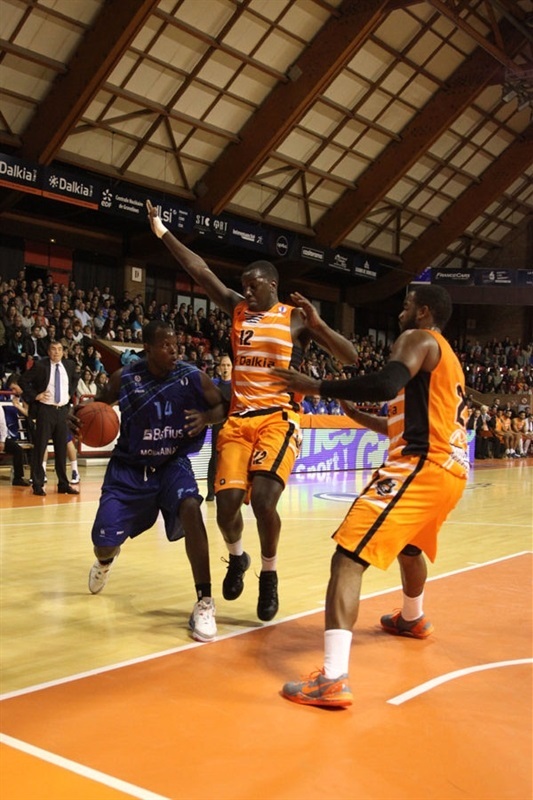 Ousmane Camara started and finished a 10-0 run in which Rousselle and Diabate rang up triples to put the outcome out of reach again and keep Gravelines perfect through three games.